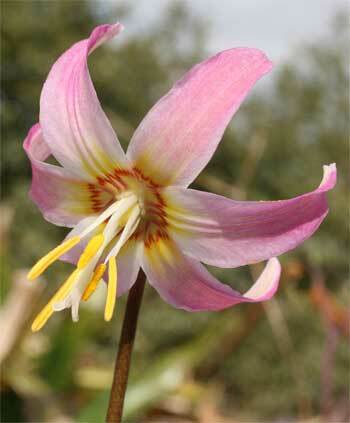 One of our own hybrid Erythroniums which bulks up well. A cross between E. White Beauty and a dark E. revolutum. As with all Erythroniums they love a partially shaded border with lots of humus.